Maybe you have heard the old joke about the drunk searching for his car keys under a streetlight "because the light's better over here." Could thousands of dollars worth of tests be looking in the wrong place? Maybe they are missing a poorly understood and infrequently named disease that lurks in the dark fringes of medical knowledge. Perhaps you have something your doctor might never have even heard of -- a swarming blood-born parasite called Ehrlichiosis. A tick bite can cause a nasty skin infection, or even more serious illnesses such as Lyme Disease or Rocky Mountain Spotted Fever. But few physicians ever think to test for an insidious constellation of infections caused by a family of bacteria that are only now starting to come under scrutiny. This rickettsia infiltrates the infection-fighting white blood cells, and then rips them open to spread the infection throughout your body, causing bleeding in the skin, depletion of your mononuclear blood cells and weakening your immune system. Fevers, headache, body aches, joint pain, abnormal liver function tests and a puzzling rash will have specialists scratching their heads for weeks. 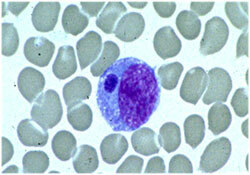 One test they are unlikely to consider is an Ehrlichiosis titer, which is not available at most hospitals and often takes weeks to get back -- although a clever hematologist might spot infected white cells on a microscope slide smeared with a drop of your blood. Meanwhile, as many as one out of thirty Ehrlichiosis suffers can die of the disease -- victims of a mysterious ailment that might never be diagnosed, or might be blamed on other conditions such as Thrombotic Thrombocytopenia Purplura -- something that is "a little easier to see under the streetlight." Ironically, the key to ending your suffering might be only a few dollars away in the commonly prescribed antibiotic Doxycycline, which could quickly stop the infection and restore you to perfect health. But before you rush to he drugstore, remember that Doxycycline can also rot out your esophagus, stain your skin, and cause intractable vomiting. So save this web site to your browser's toolbar . . . you could be needing it again later!